We write on behalf of the Middle East Studies Association (MESA) of North America and its Committee on Academic Freedom to express our dismay at a recent review process of Law School faculty initiated and overseen by the Dean of Law at Bar-Ilan University. The rapid deployment of a mid-way review process is problematic on several procedural levels. Furthermore, the fact that Dean Shahar Lifshitz and the university administration reacted in a strongly negative and public way to Professor Hanoch Sheinman’s August 2014 email to his students and that Sheinman is one of the three faculty members under review add to the specter of unfairness of this process. We call upon Bar-Ilan’s Law School to halt this hastily deployed mid-way review and more rigorously adhere to the review and reappointment norms of universities in established democracies. Instituting a mid-way review process for untenured law faculty at Bar-Ilan is similar to the practice of a third-year review in US academia. We take no issue with Bar-Ilan’s Law School developing such a review. Yet, there are two issues we do find concerning. First, the review is being applied retroactively to people who have already passed a third-year review. It is not, therefore, a traditional third-year review. Second, the manner in which this process is being applied raises serious questions related to discretionary reappointment practices at the School, especially since the Dean has refused to recuse himself in the case of Sheinman. It also contributes to a continuing suspicion that Dean Lifshitz is targeting Professor Sheinman specifically by threatening his employment at the institution. The problems between Dean Lifshitz and Professor Sheinman date back to August 2014, when Professor Sheinman wrote an email to his students that showed sympathy for Palestinians under assault, Israeli populations at risk, and soldiers stationed in and around Gaza during what Israel called Operation Protective Edge. In that August 2014 email to his students, Sheinman wrote that he hoped his message “finds you in a safe place and that you, your families and those dear to you are not among the hundreds of people that were killed, the thousands wounded, or the tens of thousands whose homes were destroyed.” Dean Lifshitz publicly censured Professor Sheinman, and the university administration released a statement that accused Sheinman of abusing his power as a faculty member. Our committee registered our concern about this matter in a letter dated August 25, 2014. According to faculty at Bar-Ilan and other universities in Israel, this mid-way review process did not exist there before the fall 2015, even though it is common elsewhere in Israeli academia. There was no reference to such a process in the university guidelines or faculty handbook. It was also not part of the hiring process when faculty under review joined the School. In fact, it was at the Dean’s Forum on October 13, 2015, that Bar-Ilan University Rector Miriam Faust first asked the respective deans to develop third-year reviews. Given this context, we were alarmed to learn that on November 25, 2015, Professor Hanoch Sheinman, who was on research leave in the US and not on Bar-Ilan’s campus during the fall 2015 semester, received an email letter requesting that he submit his credentials for this mid-way review. He, and other faculty members, were given one week to comply. After protesting the various irregularities of the process, Professor Sheinman was given another week to submit his file and was told by the Dean that the process would continue with or without documentation from him. We understand that the Programs and Appointments Committee, which consists of 12 faculty members and is chaired by the Dean, met on December 27, 2015, and produced a negative review of Professor Sheinman. This review and its recommendation will be forwarded to Rector Faust, who may decline to reappoint Sheinman as early as June 2016. We cannot know whether or to what extent past interactions between Professor Sheinman, Dean Lifshitz, and the wider administration at Bar-Ilan have factored into this process. Regardless, this case raises several troubling issues relative to procedures and their implementation. First, the fact that this review process did not exist in the university or faculty handbook but was abruptly instituted in the second half of the fall 2015 semester is deeply concerning. Second, the candidates being reviewed were not informed that they would be reviewed until late November, 2015, and were then given only one-to-two weeks to submit their files. Indeed, just over a month elapsed between the Dean’s formal invitation, the submission of candidate files, and the committee’s meeting. That one of the candidates was away on sabbatical and was not informed in advance that this review would take place corrupts the prospective merits of such a review. Third, the process has been carried out in haste and is being applied retroactively to candidates. These procedural mishandlings eliminate the benefits of providing feedback to candidates under review; by raising questions related to fairness and effectiveness, they delegitimize the process of pre-tenure review at Bar-Ilan University’s Law School. 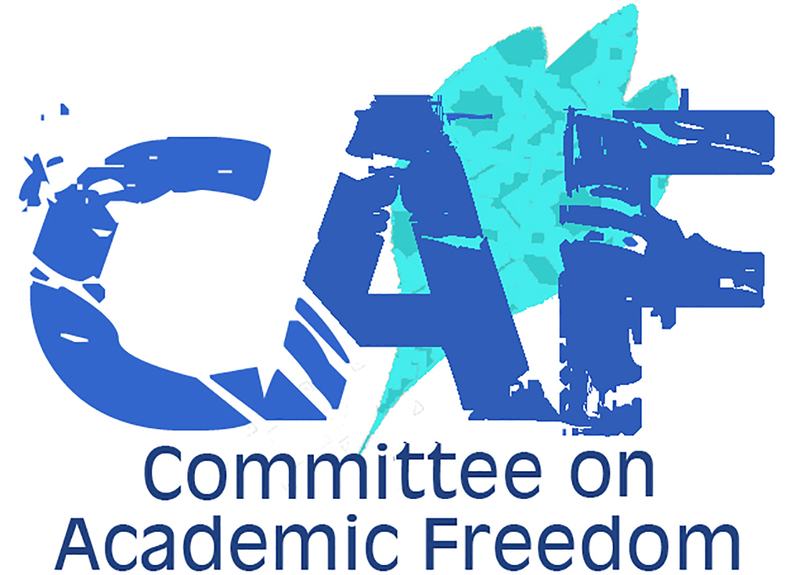 The Committee for Academic Freedom calls on Bar-Ilan University to more rigorously and thoughtfully develop a third-year review process in a way that improves the effectiveness of such practices while also modeling it on the best practices of other academic institutions in Israel and internationally. With respect to the ongoing and seemingly ad hoc review of Professor Sheinman and two other faculty members, we strongly urge that this process be stopped and its results set aside until fair and careful guidelines for review are developed in consultation with the faculty.